HIP, COOL, FRESH! 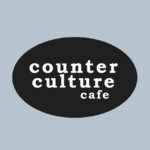 Counter Culture features the finest ingredients, everything made from scratch, fantastic baked goods, daily specials, to-die-for soups and salads and the culinary genius of Chef Jason Aufrichtig! Open breakfast, lunch and dinner!